Grow. Cook. Sew. : Pears poached in red wine: A love story. 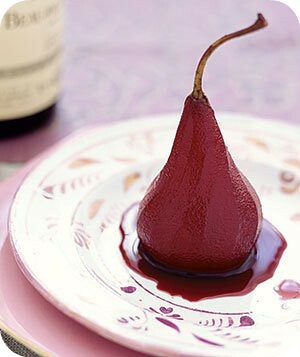 Pears poached in red wine: A love story. 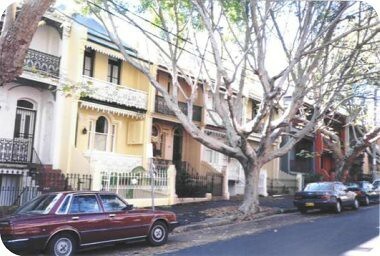 Once upon a time there was a handsome young man who lived in a beautiful rambling terrace that was split into 2 apartments. One day a young girl moved into the tiny apartment downstairs and the young man popped downstairs to introduce himself to his new neighbour.. They had to share the outdoor laundry after all. As the weeks went by, the boy and girl became friends and she noticed that he started doing allot more laundry than usual (perhaps, so he could walk past her door?). One day he gathered the courage to invite her upstairs for dinner. She was (at the time) a very fussy eater and he attempted his first gluten free, dairy free, vegetarian dinner.. which was a success. It was followed by his signature poached pears in red wine and cinnamon. I suspect the young girl was under the spell of those beautiful and fragrant pears.. because she fell head over heals in love with the young man. A few short weeks later the two love birds moved in together and less than a year later they were married with a beautiful baby girl..
Once every blue moon he makes this beautiful recipe for her again. One can only assume its to keep her under this powerful love spell.. This is the best love story EVER. Totally deserves a hardback cover with sweet little pictures to go with. Do you tell it to Miss Sophie as a bed time story? She would love it! Round and round the garden.. GUEST POST: Baby Space pudding.. Follow this blog with bloglovin! Go on!